Jacksonville Website Developers with experience building high-end websites. Your website is the hub of your business. As Internet users continue to research companies and their competitors, the development and design of your website must not be ignored. Potential and returning customers want a dynamic experience from your business, and it starts with your website. Whether they are researching what your product or service has to offer, their experience needs to be refined in a way that is easy and informative. Our Jacksonville website developers have years of experience in not only website design, but in website architecture so that a visitor finds the necessary information within your site that they were searching. Our website development team in Jacksonville will work directly on what type of functionality your website needs to provide to your customers, whether it be a website that houses information about your business, or a website that requires a custom functionality with sign-ins, databasing, or other specific needs. Our Jacksonville website developer team has a well-rounded background in various subsets of website development from web design, software engineering, ecommerce, and web- based applications to name a few. Our website developers in Jacksonville take a hands-on approach to your website. 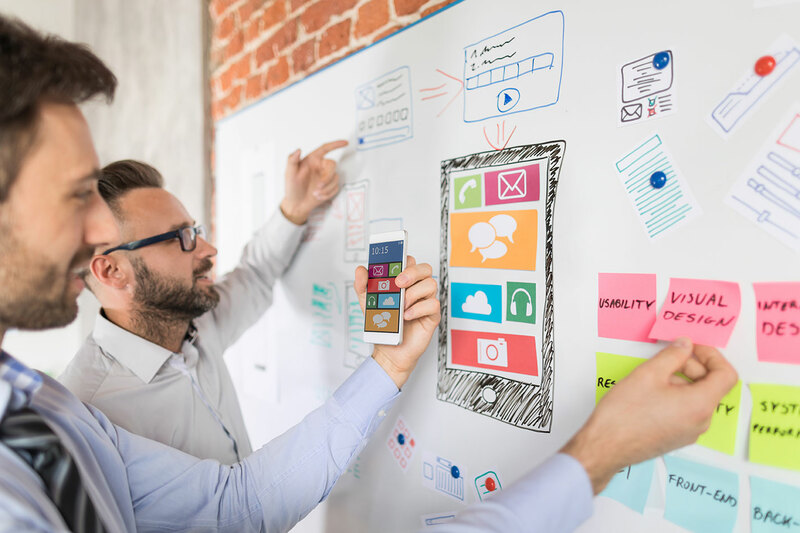 After an initial meeting with your business on all of the ideas, goals, and needs to create a successful website, our team will create wireframes (website blueprints) that accurately reflect the architecture of the website. The most important process with website development in Jacksonville is communication. Our website developers will consistently keep your business updated on the development process to clearly map out the path of your users. Your business's website needs to provide a unique experience to your customer. One that stands out. If a user's experience is in any way disrupted or jaded, it can interfere with the sales funnel and loss of a customer. Not only will your new website developed by Jax Media Team be a custom design and experience for your customers, it will house all of the necessary SEO for it to be found in search engines for prospective new customers. As the Internet continues to substantially grow, the ability to stand out as unique becomes exponentially difficult. A website that is developed with a user-based experience in mind will not only assist in the loyalty of your current customers, but attract new customers through various marketing spokes that support your website. Give us some basic information and we’ll be in touch. Copyright 2017 Qode Themes. This demo is part of the Bridge theme.